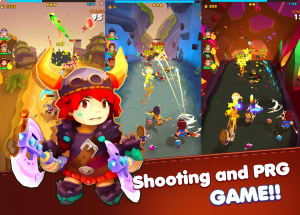 This free-to-play energy based squad themed bullet hell game starts of by giving you control of three different characters and your squads objective is to progress through the various stages you encounter by shooting and avoiding the bullet hell that the enemy monsters or players send your way. There are twelve characters in total that you can unlock and each of them has their own abilities and skills which you will need to access the top ranks. To unlock these characters you either have to reach a certain achievement, complete a Quest, or use Gold. Characters can also be obtained by using Gems which you can purchase using real money. No discussions open for Rogue Life at the moment.